The person is talking about environment & in general about agriculture in India. People are quitting agriculture, to survive we have to eat but no one wants to do farming! We are saying agriculture is a business of loss. We have made it “business” when we do something as business, greed comes in it inherently. When greed comes somewhere ethics are compromised. Well and water, how is water used by us? Are we just bringing up a generation of kids scoring 99% in exam but having now available natural resources such as air, water, food? Please just do your bit, how? Watch in the end. Across the nation and across religious / political affiliation this is something we all must think about. Did Keynes fail in Japan? It all started in 1990s when Japan took the step to deflate its economy – Yen devaluation, lower interest rate, money supply etc. The effect is observed till today and in fact we may get into another slowdown in 2015-16. Actually, that’s what is the fear. Some experts are forcing Euro-zone not to make the same mistake Japan made in 1990s. If one sees debt of the developed countries one may be forced to conclude – we are sitting around next slowdown. Take Japan – about 250% debt to GDP ratio! Surprising right? Nope, situation is not better in US either, USA is also at 100% debt to GDP. Many are already blaming Quantitative Easing for the next likely downfall. I happened to read a news last month on Keynes failing Japanese economy. Well, I agree with the concept of Keynesian economics; you may even call me anti-capitalistic – though I am not. I am more in the league of following the middle path. May be Japanese have become too devoted of Keynes’ concept – so I started questioning myself on many fronts i. Is Keynesian economics the problem? ii. Did Japan over do it? iii. How things work around here? Etc These questions may be comforting to those who are against the Keynesian economic theory. Since, Keynesian economics had worked in relatively less connected world of 1930s I dismissed the question 1 for future blog. Japan’s overdoing it and how the system works were somewhat related questions. So, that question became central in my very tiny analysis. The question I had was – how does Govt issue bonds and how does it get circulated in the market? Well, that is done through the banks and the bankers. Aha! did I hear bankers? Those bankers who went to the President (USA) and said – “we would buy Jet for our executives?” Ok! If those who still blame Keynes, would you ask with each slow down who makes the most money? Is not it the same – bankers? At least the Govt is putting money in the system in the hopes that this method will work to keep the economy afloat. I was checking Wikipedia article on Economy of Japan. An external states that – Japan possesses 13.7% of the world’s private financial assets (the second largest in the world) at an estimated $14.6 trillion [2010 data]. This data states that – Keynesian economics is doing more services to the Capitalism than otherwise! Who is playing with the hopes and cheating the system? I am little too critical when I say “cheat” because some people are in the profession of making investment decision and those decision at times counter intuitively work against the basic premise (hope) on which at the first place Govt had put money in the system. I think a solution for the problem of Japan or for that matter world economy (likely next economic burst) lies in answer to the question(s) – who has actually hoarded the money? 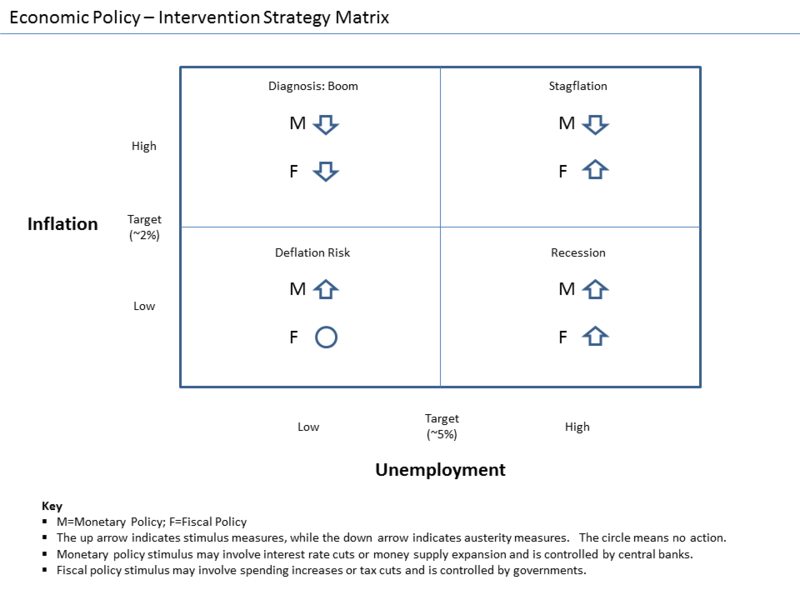 How to make amend for this workaround of Keynesian method of boosting economy? So there is seemingly an emotional explanation [which questions the other side] from my side. There is another more analytical, logical and thoughtful explanation from Prof Mankad. Whichever you want to ponder upon – Keynes did not seem to have failed Japan. Yet at the same time, every generation needs a revised look at things & our generation too! Keynesian Economics was successful when the world was not that connect, now QE of USA is invested in India/China which did not happen in 1930s. “…We will conduct all our economic policies cooperatively and responsibly with regard to the impact on other countries and will refrain from competitive…” (source – London Summit communique para 12). I am forced to think – do we need crisis to unite the world and people? The thought is in the mind because now, when things seem to be fine with the US economy or may be just because US Fed wants to reduce burden on its balance sheet they came up with a solution of QE and rest of the world feels US is renaging the agreement/communique. I assume, we may go in another set of moderate crisis in coming time, we have not come out of the crisis completely. However, perhaps, this time world would have lesser belief on Govts, financial system and the cooperation as agreed by the leaders, economists and Financial Organizations. The trust deficit we live in – or we will live in – requires special measure. A special situation demand a special solution. Since, I am more of an spiritual person I feel the solution is moving towards spirituality. This can be done two ways – bringing spiritual lessons in corporate life or making corporate values resonate, implemented and executed spiritual life. Signing a document does not solve problem in long term – we are seeing that happen through tapering of quantitative easing by USA. Disclaimer – Author doesn’t intent to criticize QE, author is of the opinion of looking at the basics of the problem – Greed. Author has written few blogs on Greed earlier here. Wealth is the abundance of valuable resources or material possessions. Wealth in itself is of no value, someone owning it gives “it” some “value”. Similarly Wisdom (Hinduism) is considered a state of mind and soul where a person achieves salvation. Again here salvation is achieved by “someone”. So salvation may not be anything in itself, right? Once you achieve it there is no “self”, that is another side of it though. The definition of wealth (or for being wealthy) in my opinion is – when you have no more desire to earn more possession – when you have complete disinterest for money – you are wealthy. Because there is no end to earning. There may be a possibility that you are the wealthiest person on earth in the list of Forbes. You may not be interested to say “enough is enough!” I don’t need more money. According to me one is wealthy – if one decides doing things because he/she enjoys doing the work and therefore does his/her work just for the hack of it. Say if I go to office with a motive of Salary at the end of the month, I am not wealthy. But if I do the same work because I enjoy doing it, feel self-satisfied and content. so the salary is not the desire but the fulfillment I achieve makes me wealthy. The later becomes reality with wisdom. What if wealth and wisdom meet? The age old approach of the west (wealth) meets the even older approach for life of the east (wisdom). I do not think the world would remain the same, this world would become wealthy and wise. Largely we would stop running for growth, to bailout countries and to make more money. This would be the world where the Business would meet the Buddha and people would do their work as their duty rather than compulsion. Recently, I met my Engineering College Professor Dr Anand Swaroop Saxena (in picture). He was my Engineering degree Major project guide, actually a guide in many ways. We were discussing something and he shared the following lines (in Hindi these are called Doha). Note – In old days cattle used to be a measure of wealth of a person, therefore go (cow) and gaj (elephant) in this doha. 1. This does not mean we should block our owns progress in the name of contentment. 2. Point 1 makes everyone think – when should we stop? Because if someone should not block his/her progress, that slowly converts into greed and running behind many things (at time unnecessary things). And I felt contentment (satisfaction) is in becoming content (satisfied) and not in running behind anything, not even the desire to become content (satisfied with anything). “You have to move on from the posts, you dont hang around it – I was a post you have to move on now.” When Prof Lopez told me this in our last meeting at Dubai, I felt bad. He further added – “Once you pass standard 1st you move on to the 2nd and so on, right Pravin?” I had to complete my MBA and move on to a job an so on and so forth. Slowly I moved on. Yet, recently I was going through the content of my MBA and came across some photos, class works etc and fallen back in time to relish my moment of that time. One of my friends commented on Facebbok – Movee oooooooooooonnnnnnnnnnnn! Instead of moving on, I remembered the last sentence Prof Lopez told me – “Pravin, you have to move on.” I had created this blog title – Move on… on Dec 1st 2010 and came back in the drafts to complete it now. The other reason to complete this blog was my recent meeting with Mr Ramana Rajgopaul my blogger friend and uncleji, he blogs at www.rummuser.com. He is reading a book – How Much Is Enough? : Money and the Good Life and we discussed economics and greediness etc. Really the question is right. How much is enough? We think of buying a small apartment, when we own one, we think of bigger one and then a bungalow, villa, a farm house do we stop there? No! then we need something more a big car or something else. Where is the end? Take an example of corruption in India, what these politicians do not have? They have all they might need, but no! They want more. This “move on” is literally turning into running, running behind something, at time running away from the real problem. We have so many gadgets and even though we are connected with so many unknown people through social media, we dont know the neighbor. I personally felt that I spend more time on internet compared to talking with people. In bus I am on the net, in train I am on the net, at home I am on the net! So, are we facing our problems (personal or social) or we are just avoiding and moving on, running from one thing to the other just to save ourselves from facing those problems? When Angulimala met the Buddha. Angulimala screamed at the Buddha to stop because he wanted to cut fingers of the Buddha. The Buddha turned and told Angulimala that he, the Buddha, had already stopped. He had stopped killing and harming and now it was time for him, Angulimala, to stop. Now is the turn for us to stop. When I say we should stop it means a strange stop – our mind should stop running, time and space would move, our mind should be at peace, quiet. That is the definition of Swasthay (swa + sthith) – dwelling in one’s own self. Related blog – Why this title? Have you read the book – “I have a dream” by Rashmi Bansal? One of my friends gave me this book and said – ‘it might change your life, read it.’ It is on social entrepreneurship. I am reading the book nowadays, and found ‘author’s note’ very interesting, I am putting the note here. There are two kinds of people in the world. Those who think, and those who feel. The ‘thinkers’ see a child begging on the street and say to themselves ‘that’s not my problem.’ Those who feel, however, will give that child something, if not a coin, at least a moment of compassion. Thinkers believe the world is a neat place, with boundaries. ‘My house’, ‘My family’, ‘My community’, ‘My welfare’ that’s where there the boundary ends. But those who feel see the entire world as One. Beggar and bourgeois, sinner and saint. We are all interconnected in ways we cannot understand. And Hence, in serving another, we are only serving ourselves. For too long now we – the ‘middle class’ of India – have chosen to be thinkers. We have deadened our hearts and our minds to the poor, the hungry and the homeless and the hopeless. Because that problem is really not ‘ours’. And the small minority who feels, it’s doing the best it can. But it is never enough! I see now, a new breed of people. Thinking-feeling individuals who look a problem in the eye and declare war. These people think like entrepreneurs but feels and work for the cause of society. And hence, they are ‘social entrepreneurs’. These are people like you and me, not Mother Teresa. They are using the principles of business, to create a better world. A world where profit does not equal greed. Where people come together for a greater common cause. A world where ‘I’ does not mean crushing ‘them’. Because the bank balance you have here on earth will remain, when you depart. Your Karma you carry forward. So no matter what your problem in life is, spare a moment for someone else. Spread love, laughter and goodwill. The more you give, the more you will get back. I see a connection between teachings of the Buddha, these entrepreneurs and what Rashmi is saying – i) greater common cause ii) a world where profit is not equal to greed iii) we are all interconnected and iv) we are ONE world. I too have a dream – to see all of us – business men/women – as compassionate and thinking in the lines we – as a single world. This for sure would ensure peace, harmony and economically stable world. I was watching NDTV after a long time no no…TV after a long time. Also, NDTV has not been my favorite for a couple of years now. Anna movement gave chance to every news channel, however, only Times Now could make it to my consideration set. So, by chance I was watching NDTV. Well to be precise, I was not watching; by chance NDTV was on and we were talking about something. I gave it a heed because the news was about increase in petrol price in India. Some experts were talking and one said – “India has grown, we are producing more grain, (Precisely, the number thrown was about 250 units to 270 units). So when we are growing, with growth if inflation is high it is fine!…”. The argument was largely – we are growing and so is inflation thus it is fine if petrol price is also increasing. I started thinking, if we are producing more than why people die of hunger? If we are growing then why still we are not satisfied? If India of today is better than India of 90s, 80s or 70s why we are still struggling with roads with potholes (even in Mumbai), load shedding (for non-Indians load shedding means power cut in different location because of scarcity of power) and other problems. We are producing more, in fact the argument was we are producing more than we consume. We can see that we have enough and more mediums for entertainment (I was watching TV and thats why this came in mind first), enough food (as per the expert invited by NDTV). Surprisingly we do have enough and more Money – in Swiss bank accounts in Indian context and in developed economies hefty bailouts. Still there is inflation, there are economic issues. Largely, the basic problem is greed. Because of greed we see scarcity of many things. In fact after reading an MBA case we felt that Diamonds are not rare as we believe. In other words, we are in a world with abundant supplies of required things however we create scarcity of other things (and of the basic necessities). Greed for growth, money and possession. Effectively, we need few things which are in abundance but we live in artificially created scarcity of those. Because of greed abundance becomes scarcity and we live in the world of abundance of scarcity.